Stylish modern gastro-pub a short drive from Auckland Airport Lodge, Szimpla is open 10am till late for brunch & dinner. 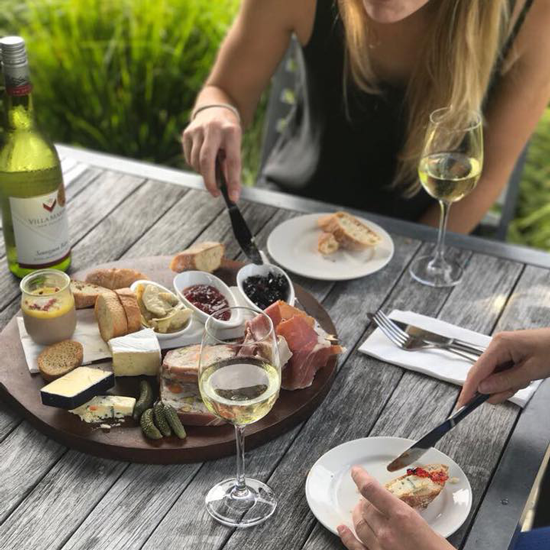 Set on a terrace looking over one of Villa Maria’s vineyards, Vineyard Cafe is a great place for lunch on a sunny day while enjoying their world-famous wines. Indian Express offers delicious North Indian & Chinese cuisine, with a courtesy van for our guests. Great to satisfy your curry cravings! KFC and Carls Jnr are available at nearby Airport Shopping Centre, just 5 minutes drive from Auckland Airport Lodge. Eat-in, drive-through or dine-in. McDonalds (24hr drive through), Subway, Dunkin Donuts & St Pierre’s Sushi are just beyond the Airport Shopping Centre. Dominos Pizza deliver to Auckland Airport Lodge – 0800 30 40 50 – Delivers until 12am Thurs, 1am Fri & Sat and 11pm other days.